We've had many memories set around Harry Potter over the books. But one place we are always taken back to is Platform 9 3/4. Wether it's with Ron, Harry and Hermione or their children- there is always a place for Kings Cross Station in our hearts. This blog is best viewed for WoP users while the chat is open. If you see any mistakes or editing improvements needed, please owl Chloe Lovegood. Welcome to another blog in the series Travel Tuesday. Today, we are taking you to a place in real life which hosted many of the adventures. The place where Harry Potter was left by Hagrid on his first adventure to Hogwarts. The magical gate from the muggle to the wizarding world left in plain sight- Platform 9 and 3/4. Now, you're probably going to tell me off right this instant for my blog this week. Platform 9 3/4 is unreachable to most, why am I writing a Travel Tuesday (something which is meant to be an attraction for muggles and wizards alike) post on it? All will be revealed soon. I want to first bring back some beautiful Nostalgia of our memories related to this lovely Platform. The first time we meet Platform 9 3/4 is when Hagrid takes Harry there for his first journey to Hogwarts. We have many memories linked to this first day on the platorm. What really protects this Platform from the muggle eye? It remains a mystery for many of the younger students, but perhaps a know-it-all Ravenclaw in your year could tell you *wink*. 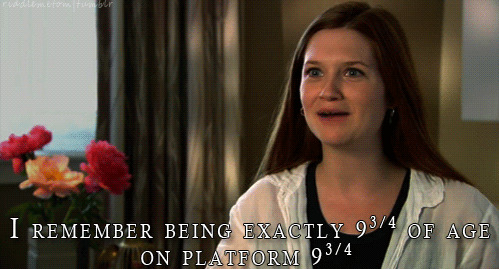 Your first time through platform 9 3/4 is scary- everyone admits that. Harry looked terrified on his first journey! Another big memory linked to this platform would be the day Dobby showed exceptional magic by managing to close the platform on the two friends Harry and Ron. This lead to a infamous attack on the Whomping Willow by the two boys in the well known Flying car with a mind of it's own. To the last time, in the movies, we ever meet this platform. A heart wrenching moment for many fans, we see the son of our main protagonist brave his fear and entre Platform 9 3/4 side by side with his dad. However, with all this Nostalgia, I still haven't told you why this week is on platform 9 3/4 is on Travel Tuesday. You cannot, sadly, make it through to this platform if you are a muggle without any knowledge of were it is- it is simply impossible! However, there is a lot more out there for the adventurous of heart. So back your bags, grab your ticket, we've got a Travel Tuesday place to visit! Welcome to the Platform 9 and 3/4 shop! This is situated in Kings Cross next to a possible entrance to the platform (due to muggle security, we can't tell you where it is exactly *wink*). 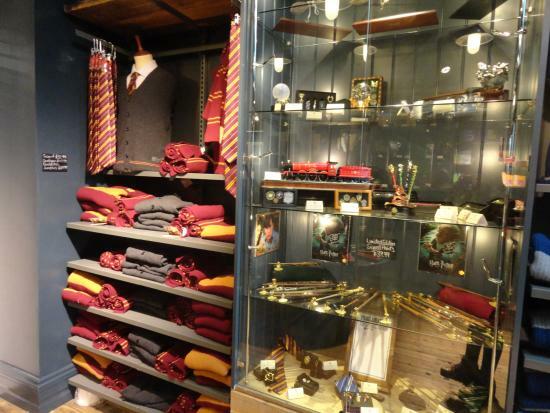 This beautiful shop is full of Harry Potter merchandise for people of all ages and loves. But all have one thing in common- Magic! And, the attraction of this place? It is situated next to a photo area for muggle photography all centred around Platform 9 3/4. 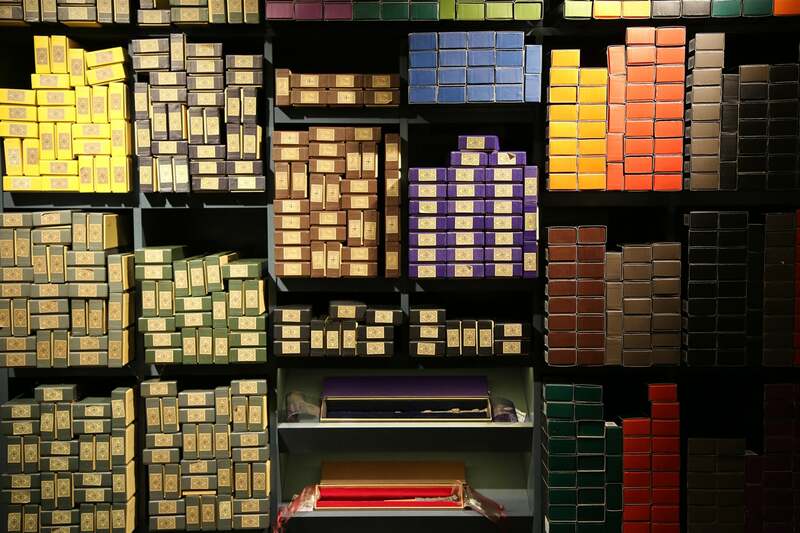 You are able to take the muggle photo of your dreams here! So, what are you waiting for? Grab your ticket and make your way to the beautiful land of Platform Nine and Three Quarters! That's all for this week, I hope you enjoyed this blog- sorry it's so late on in the day. Your SoMe team wishes you a lovely week.